“Computers, Communications and Consumer Electronics” makes up what’s commonly referred to as the 3C industry in China. 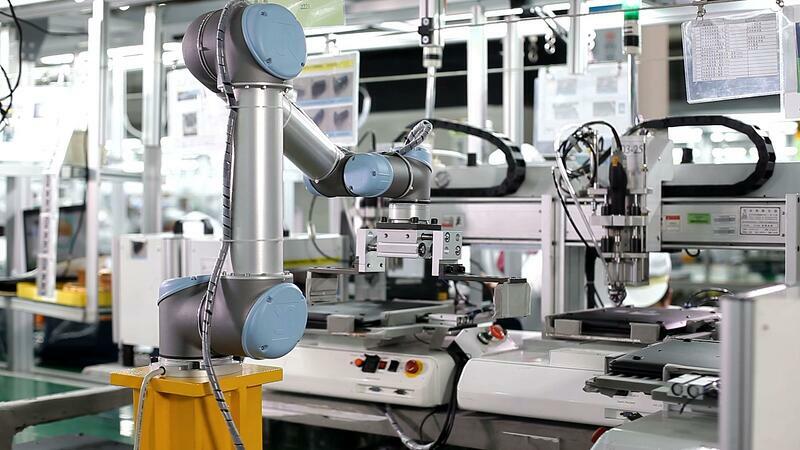 An industry where the application of collaborative robots now enjoys a promising future as flexible production lines are ripe for automation. Taking product inspection as an example, with a solution provided by UR for a 3C manufacturer, one UR10 robot can carry out loading and unloading operations for 8 test machines on a production line. 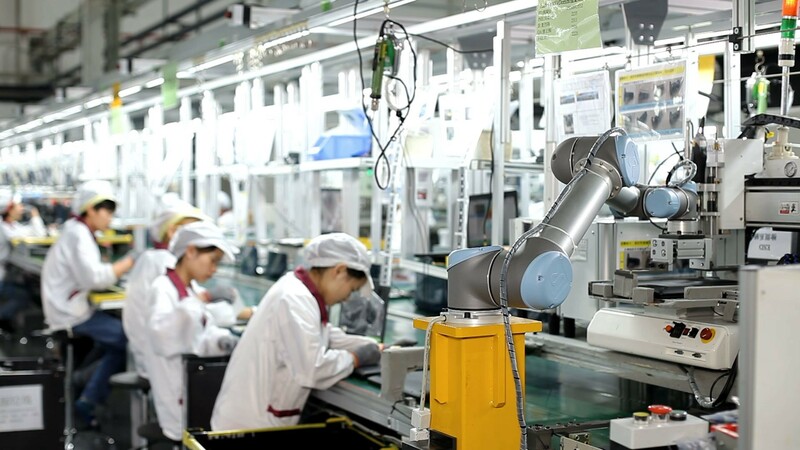 Equipped with clamping jaws, and visual recognition system, the robot fetches and puts the product to be tested on the test table for inspection. Since a certain amount of time is required for each testing machine to test the product, if one robot only matches with one testing machine, the efficiency is too low; after calculating production takt of the station, the solutions with a proportion of 1:8 is adopted to improve efficiency. Upside down or off the wall? Not a problem..
Space utilization is another highlight that makes the solution stand out; with a compact design, the robot can extend to the testing machine to feed, thus making 1:8 solution feasible. In addition, because the UR robot can be installed in any orientation, the installation freedom is greatly improved, and the user can select the sided mounting, reverse mounting, inclined mounting or leveled mounting according to the location of the testing machine. Humans working like robots? There a..yes, cobot for that.. The testing task is a highly monotonous and tedious task for a human. 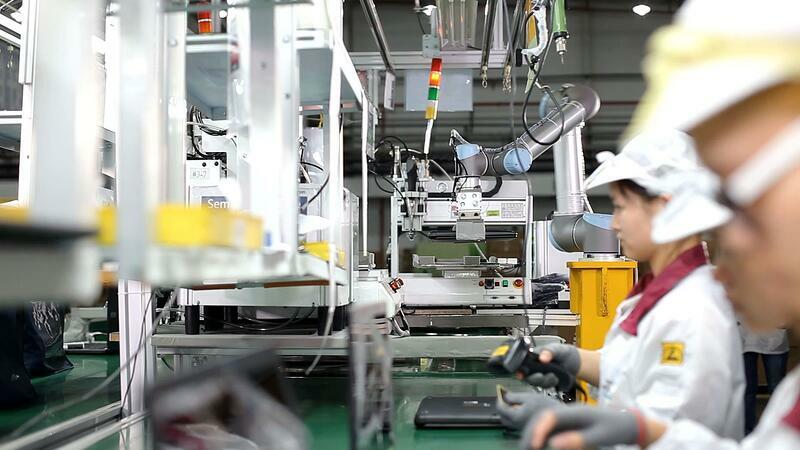 Fortunately a cobot is not as easily or prone to repetitive strain injury so the repeated task of moving a part through 8 different testing machines all day long is a dream job for the UR10. Unlike traditional robot that generally stay bolted down in cages dedicated to one task only, the UR cobots with their built-in safety features are able to work directly alongside the employees and are often regarded more as a “colleague” rather than a device. Nowadays, we have seen a shift from large-scale and massive production to flexible and customized production of small batch in the 3C industry. Many production lines may produce a product within a period of three to four hours but switch to another different product in the following hours. Such highly flexible production methods have imposed extremely high demands on both personnel and equipment and traditional mechanical platforms for loading and unloading will involve a large amount of labor work due to such changes. Therefore, such application calls for solutions with high compatibility and fast change-over functions. In the actual design, performing “loading and unloading” is far from meeting the user’s requirements for robots that can quickly switch in accordance with the production lines; instead, it should be able to solve the following problems: firstly, it should adapt to the working platform with small space and full of changes; secondly, it should be able to operate and set up the programs quickly when production line switches; thirdly, it should be safe. The characteristics of the UR collaborative robot make it possible for users to solve the above-mentioned three major pain points: add a mobile platform to the cobot – either mounted on an autonomous mobile robot or simply on a table with wheels – and It can simply be redeployed between tasks continuously. With compact and lightweight design, the UR robot has a higher self-load than traditional ones, so it is easier to push- and-pull when switching stations. If mounted to a mobile robot, it also enjoys longer battery life due to small load. For each new task that the robot faces, the operator can simply call up that pre-stored program on the robot’s teach pendant and the cobot is able to go to work on the new job right away. 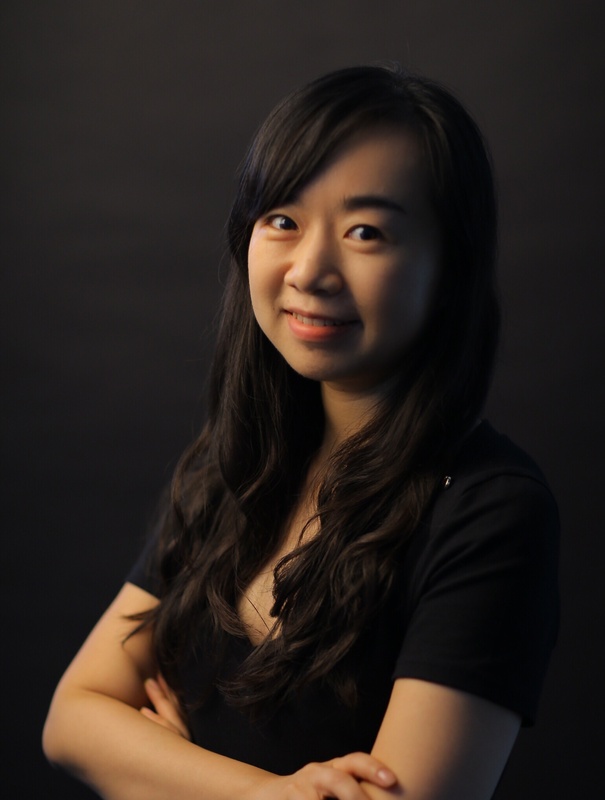 Iris Ren is the marketing manager for UR China at our Shanghai ofice. She joined UR China in June 2017.